Dan, Shane, and Jack share their frustrations on FAU's home loss to Louisiana Tech. 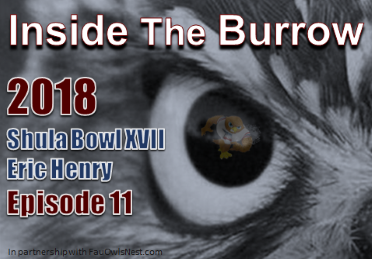 This Saturday, the Owls can salvage some sense of pride with a win over rival FIU. Underdog Dynasty's Eric Henry joins the fancast to discuss Shula Bowl XVII and the similarities between South Florida's two public universities. Go Owls! I concur - great episode guys. Appreciate all that you do for our fanbase. Good point about the changes in blocking this year and how it could potentially be affecting our offensive production. Did you guys put Ken LaVicka up to asking Coach Kiffin about this tonight at the radio show? Ha! There might be a fairly analytical way to answer this question. To do this you would need to find someone at another college that's running the same offense this year that ran the same offense at FAU last year. Then you'd review their offensive ranking and see if it was in line with our results from last year or not. If the results are closely clustered, then you could assume the blocking changes have no effect. If the results have a widespread, then you could assume Dan answered the question. Agreed on the great work this season. I have really enjoyed hearing the guests, it brings some cool perspective.